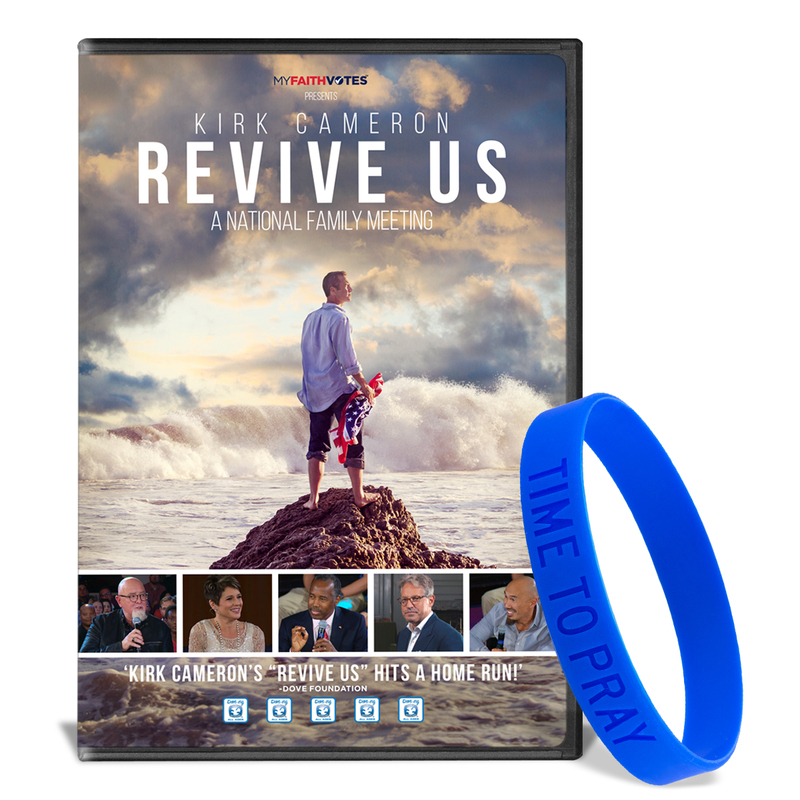 Get your own copy of Kirk Cameron's Revive Us DVD! This thought-provoking live event screened to theater audiences nationwide in October 2016. Join Kirk Cameron, Francis Chan, Dr. James MacDonald, Dr. Ben Carson, and many more as they participate in an evening full of hope, worship and inspirational storytelling. Plus, when you purchase the Revive Us DVD you'll also receive a FREE 'Time to Pray' wristband. Runtime: 120 minutes. Language: English. Click here to bundle your Revive Us DVD with a Time To Pray T-Shirt and Limited Edition Poster, or view all bundles options on the Storefront. Can't wait to purchase the DVD as a souvenir of a memorable time in history and as a reminder of a great evening...after the movie, the crowd at our theater stayed in their seats and took turns shouting out prayers! It was amazing and awesome. I can't help but think that this movie had an affect on the election and on us as Christians uniting to save our nation. Great to see a movement taken placing and helping ALL TO WAKE up and REVIVE US. Can't wait to purchase it. Inspirational! Thank you for standing up and for gathering others to God's work. This Revival program was amazing and swept our nation at a time when we needed moral guidance the most. Without it, i dont think we'd have the leadership we now have.